1.1 Any order placed with JN Skips which takes its vehicles off the public highway will be at the customers’ own risk, they will accept full responsibility for any consequential damage that may occur to persons, property or vehicle as a result of this. 1 .2 JN Skips will not be liable for any loss or damage caused by failure to supply, or any delay in supply which may be caused directly or indirectly by any circumstances beyond our control, including act of God, fire, accident, breakdown of machinery, shortage of labour or material, or by an act of neglect on the part of the customer. 1.3 The time allowed for wait and load is 45 minutes. If the vehicle is kept waiting longer than this JN Skips reserves the right to charge waiting time. 1.4 JN Skips reserves’ the right to charge the customer for all costs incurred as a result of a cancellation or variation of the whole or a substantial part of an order, together with the loss of profit and all other consequential loss. 2.1 Asbestos, fridges, freezers, televisions/monitors, tyres, fluorescent/sodium lamps, gas cylinders, plasterboard, or any waste deemed as hazardous by an absolute or mirror entry in the European Waste Catalogue (Article 1 (4) of the Hazardous Waste Directive 91 /689/EC) must not be placed in the skip container unless by prior written agreement with the company. 2.2 It is the responsibility of the hirer to ensure that skips placed on the highway or leveled public places have the permission of the local highway authority and are adequately lit and coned off in accordance with the Highways Act 1980. JNSKIPS can organize permits at an additional cost to the hirer. 2.3 The hirer shall ensure that the skip is not overloaded by weight or by volume at the point of collection. No skips are to be loaded beyond the height of the skips itself. Overloading will always incur excess charges. 10, 12, 14, light waste or loaded no more than the maximum legal load limit for the vehicles.  JN SKIPS reserves the right to refuse to collect overloaded skips and any costs incurred due to unsafe loads/overloading (included wasted journeys) will be passed on to the hirer. Additional charges may be levied. 2.4 The lighting of fires in or near skips is strictly prohibited. The hirer will be liable for any loss or damage to the skip container (excluding fair wear and tear) during the term of the skip hire period and will be charged the current purchase price of the skip. Once a skip has been placed, it shall not be repositioned without prior consent from JN Skips. Moving skips on site could result in an inability to collect skip. 2.5 The maximum rental period is 14 days only. It is the responsibility of the hirer to request the collection within this time. Failure to do so will result in the unannounced collection and/or rental charges being incurred of £10.00. The responsibility for the skip remains with the hirer until collected by a JN Skips vehicle. It is the responsibility of the hirer to keep skips light and covered. JN Skips does not provide liability insurance for the protection of the private property of the customer hiring the delivery of any skips. In consideration for your participation in said the delivery of the skip to the individual, group, organization, business, spectator, or other, does hereby release and forever discharge JN Skips and our employees, jointly and severally from any and all actions, causes of actions, claims and demands for, upon or by reason of any damage to the customers property which hereafter may be sustained by participating in the delivery of skips. The provisions of any state, federal, local or territorial law or state providing substance that releases shall not extend to claims, remands, injuries, or damages which are known or unsuspected to exist at this time, lo the person executing such release, are hereby expressly waived. I hereby agree on behalf of my heirs, executors, administrators, and assigns, to indemnify JN Skips and its employees, joint and severally from any and all actions, causes of actions, claims and demands for, upon or by reason of any damage, loss or injury, which hereafter may be sustained by participating in the delivery of skips. It is further understood and agreed that said participation in the delivery of skips is not to be construed as an admission of any liability and acceptance of assumption of responsibility by JN Skips and its employees, jointly and severally, for all damages and expenses for which JN Skips and its employees, become liable as a result of any alleged act of the parade participant. 5.2 Non-Account holders: Prior to or on the delivery of skip. On a collection of the skip. No skips will be collected until payment is received in full. We will not remove any skip until payment is made in full. If there is a dispute with payment, we have the right to empty the contents amounting to the number of skips at the location of the skip. Any monies outstanding is ownership of where the skip is placed. 2 You Must Read These Hire Terms & Conditions You must read these Hire Terms & Conditions upon receipt of any delivered skip(s) or materials supplied, as the pre-booking of, the acceptance/instruction of, the delivery of, the using/moving/removal of any materials or the placing of any object in a delivered skip(s) indicates a complete and binding acceptance of these Hire Terms & Conditions. The Company may without prior notice collect the skip at any time should any Hire Term or Condition be breached or if any skip is deemed by The Company to be full as shown in the safe loading of skips criteria in Section 9 of these Hire Terms & Conditions. 3 Proof Of Delivery As The Customer may not be present upon delivery of any skip(s) or materials, a Customers signature is not required upon any documentation as proof of delivery or collection of skips or goods, however, all Hire Terms and Conditions still apply. 4 Guarding & Lighting The Customer is at all times responsible for lighting and covering of the skip(s), The Company must be informed immediately should any Cones, Lamps or Reflective Markers be found to be damaged, removed or unserviceable, to avoid fines. The Customer must at all times take all reasonable precautions to guard the skip(s). 5 Payments & Charges Unless The Company has agreed prior arrangements in writing; any due charges must be paid either before or upon delivery of any Skip(s) or Materials. Excess Charge Invoices must be paid upon receipt and payment must be received within seven days of the Invoice date. The Company reserves the right to charge interest on any overdue amounts at 8% pa since the Invoice or Delivery Date, whichever is the sooner. Any costs incurred by The Company in collecting money owed will be charged to The Customer. 6 What Can I Put In The Skip? Non Hazardous Recyclable Domestic, Trade & Commercial, Builders or Industrial Waste or Inert Waste (Excluding any items listed in Section 7) LEVEL FILLED, subject to the weight limits shown on our Invoice and/or Price List; which can be viewed on our prices page. IF YOU ARE IN ANY DOUBT AT ALL REGARDING ANY OF THE ABOVE, PLEASE ASK!! PLASTER/PLASTERBOARD IS NOT INERT WASTE WE CHARGE AN EXCESS OF £120.00 PER TONNE + HAULAGE FOR CLEAN PLASTERBOARD AND PLASTER, HOWEVER…..
An excess charge will be incurred for the sorting and/or disposal of any unsegregated Plaster or Plasterboard found within a Skip. CONTAMINATED PLASTERBOARD i.e. Plaster/board that also contains polystyrene, insulation, wood, etc, will be charged at £150.00 inc vat per tonne. The contents of the skip(s) should not project from within the shape of any skip(s). The Customer is responsible for ensuring that at all times skips are loaded safely and that the area around the skip(s) is kept safe and tidy. Should any skip be deemed by The Company to be overloaded, it is The Customers responsibility to rectify the situation. However, The Company reserves the right to, at any time; remove any objects from the skip(s) that it feels may jeopardize the safe transportation of any skip(s). Any extra costs howsoever incurred in removing, transporting or disposing of the contents of any skip(s), will be charged to The Customer. OVERLOADING OR OVERFILLING A SKIP WILL ALWAYS INCUR EXCESS CHARGES! 10 Fires & Damage To Skips The lighting of fires in or near to skips is strictly prohibited. The Customer is responsible for any damage to skips whatsoever or howsoever caused and The Company will be entitled to recover such additional costs and reimbursement for any damage. 11 Damage To Property Our Skip Lorries are large and heavy; as such we require access criteria of at least 3.10m wide, 3.90m high, an access and site surface capable of withstanding 18.00 tonnes and a safe and adequate turning / manoeuvring / working area. The Customer must accept all responsibility for any damage whatsoever or howsoever caused. 12 Positioning Of Skips A skip must not be moved without prior permission from The Company, The Customer must accept all responsibility for any damage or extra costs incurred due to any skip being moved howsoever caused. 13 Highway Licences Unless The Company has been instructed otherwise, where it is not possible to site any skip(s) off the public highway, we will (if permission is granted by the Local Authority), site any skip(s) on the highway and charge The Customer accordingly. The charge for this permission vary’s depending on the local borough for limited time periods as stated by The Highways Authorities. IMPORTANT: DUE TO THE HIGHWAYS AUTHORITIES CONDITIONS; HIGHWAYS LICENCES, ONCE APPLIED FOR, ARE NON REFUNDABLE, NON CANCELLABLE AND ARE CHARGEABLE TO THE HIRER, EVEN IF THE SKIP ORDER IS CANCELLED. 14 Hire Periods 4-9 yards are on a 2 week hire period & 10-16 yards are on a 1 week hire period. All skips are on an automatic collection system as soon as the hire period is up. **We will not remove any skip until payment is made in full. If there is a dispute with payment we will empty the contents amounting to the number of skips at the location of the skip. Money outstanding for the skip is ownership of where the skip is placed. 1.1 This website (“J&N Skips”) promotes the business referred to on it. In these conditions, the business will be referred to as ‘we’ and/or ’our’. 2.1 We cannot guarantee that J&N Skips will operate continuously or without interruptions or be error-free. You must not attempt to interfere with the proper working of J&N Skips and, in particular, you must not attempt to circumvent security, tamper with, hack into, or otherwise disrupt J&N Skips or any computer system, server, router or any other internet-connected device. 2.2 You are responsible for ensuring that your computer system meets all relevant technical specifications necessary to use J&N Skips and is compatible with J&N Skips. You also understand that we cannot and do not guarantee or warrant that any content on J&N Skips will be free from infection, viruses and/ or other code that has contaminating or destructive properties. You are responsible for implementing sufficient procedures and virus checks (including anti-virus and other security checks) to satisfy your particular requirements for the safety and reliability of data input and output. 2.4 We reserve the right, in our discretion, to withdraw, suspend or modify J&N Skips or certain features or parts of J&N Skips with or without notice to you, where we have reason to do so. There may also be times when J&N Skips or certain features or parts of J&N Skips become unavailable, whether on a scheduled or unscheduled basis. You agree that we will not be liable to you or to any third party for any withdrawal, modification, unavailability, suspension or discontinuance of J&N Skips or any service available on or through J&N Skips. 3.1 You must use J&N Skips and the information available from J&N Skips responsibly. No such information may be used for or in connection with any unlawful, immoral or anti-social purpose, or in a manner which is or may be damaging to our name or reputation. H) using any automated means to monitor or copy J&N Skips or its content, or to interfere with or attempt to interfere with how J&N Skips works. 5.1 If you provide any material to J&N Skips (for example, by providing ratings and reviews, comments, articles or uploading any other content in any format (including video) (each “User Content”) you agree to grant us permission, irrevocably and free of charge, to use the User Content (including adapting it for operational or editorial reasons) in any media worldwide, for our own marketing, research and promotional activities and our internal business purposes which may include providing the User Content to selected third party partners, service providers, social media and networking sites. F) will not contain any form of mass-mailing or spam. 5.4 If you do not want to grant us the permissions set out above, please do not provide any material to J&N Skips. 5.5 We have no obligation to publish your User Content on J&N Skips and we retain the right to remove any User Content at any time and for any reason. 5.6 We do not edit, pre-vet or review any User Content displayed on J&N Skips. If you believe that any User Content does not comply with the requirements set out in this paragraph, please notify us immediately. We will then review the User Content and, where we deem it appropriate, remove it within a reasonable time. 6.1 Although we hope J&N Skips will be of interest to users, we accept no liability and offer no warranties or conditions in relation to J&N Skips or its content, to the fullest extent such liability can be excluded by law. D) goods, products, services or information received through or advertised on any website which we link to from J&N Skips. 7.1 Where J&N Skips contains links to other websites and resources provided by third parties, these links are provided for your information only. We have no control over the contents of those websites or resources. 7.2 Any formal legal notices should be sent to us using the details set out on J&N Skips. 8.1 These conditions make up the whole agreement between you and us in how you use J&N Skips. If a court decides that a condition is not valid, the rest of the conditions will still apply. 8.2. The laws of England and Wales apply to your use of J&N Skips and these conditions. We control J&N Skips from within the United Kingdom. However, you can get access to J&N Skips from other places around the world. Although, these places may have different laws from the laws of England and Wales, by using J&N Skips you agree that the laws of England and Wales will apply to everything relating to you using J&N Skips and you agree to keep to these laws. We have the right to take you to court in the country you live in. 9.1 If you experience problems with J&N Skips or would like to comment on it, please feel free to contact us by using the details set out on J&N Skips. 1.3 For the purpose of European Union Data Protection legislation, we (as defined and detailed in J&N Skips) are the data controller. 2.1.5 details of your visits to J&N Skips, including, but not limited to, traffic data, location data, weblogs and other communication data, whether this is required for our own billing purposes or otherwise and the resources that you access. 3.2.4 recognise you when you return to J&N Skips. Essential – Some of the cookies on J&N Skips are essential for us to be able to provide you with a service you have requested. An example of this could be a cookie used to enable you to log into your account on J&N Skips or which allows communication between your browser and J&N Skips. Our cookie preference cookie described in the section “How can I reject or opt out of receiving cookies?” is also an essential cookie. You may not be able to use J&N Skips without these cookies. Analytics – We use analytics cookies to helps us understand how users engage with J&N Skips. An example is counting the number of different people coming to J&N Skips or using a particular feature, rather than the total number of times the site or feature is used. Without this cookie, if you visited J&N Skips once each week for three weeks we would count you as three separate users. We would find it difficult to analyse how well J&N Skips was performing and improve it without these cookies. 6.2 Unfortunately, the transmission of information via the internet is not completely secure. Although we employ security measures designed to protect your personal data, we cannot guarantee the security of your data transmitted to J&N Skips; any transmission is at your own risk. Once we have received your information, we will use strict procedures and security features to try to prevent unauthorised access. 7.3 All information you provide to us is stored on our secure servers. Any payment transactions will be encrypted. Where we have given you (or where you have chosen) a password which enables you to access certain features or parts of J&N Skips, you are responsible for keeping this password confidential. We ask you not to share a password with anyone. 7.4 Unfortunately, the transmission of information via the internet is not completely secure. Although we will do our best to protect your personal data, we cannot guarantee the security of your data transmitted to J&N Skips; any transmission is at your own risk. Once we have received your information, we will use strict procedures and security features to try to prevent unauthorised access. Remember to close your browser when you have finished your user session. This will help to ensure that others do not access your personal information if you share your computer or use a computer in a public places such as a library or internet café. 10.1 You have the right to ask us not to process your personal data for marketing purposes. We will usually inform you (before collecting your data) if we intend to use your data for such purposes. You can exercise your right to prevent such processing by checking or un-checking (as directed) certain boxes on the forms we use to collect your data or by following the unsubscribe link on any marketing emails we send you. You can also exercise the right at any time by contacting us using the details set out on J&N Skips. 1.1 The terms contained in this document (Trading Terms) apply to all transactions for the purchase of products and services (each a “Service” or, two or more, the “Services”) from the Site. By ordering any Services from J&N Skips you are indicating your acceptance to be bound by these Trading Terms. They form a legal agreement between you and us and can only be amended with our consent. You can print a copy of these Trading Terms by selecting the print option from the “File” menu of your browser. 2.1 You may place an order to purchase a Service advertised for sale on J&N Skips by following the onscreen prompts after clicking on the item you are interested in. You will have an opportunity to check and correct any input errors in your order up until the point at which you submit your order by clicking the “Place Order” button on the checkout page. 3.1 The prices of Services advertised for sale on J&N Skips are as set out on J&N Skips. All prices are in pounds (£) sterling, exclusive of VAT, and shipping charges. Shipping charges will be added to the total amount due once you have selected a shipping service from the available option as set out in Shipping Information. 3.4 In the unlikely event that the price of an item has been incorrectly advertised on J&N Skips, we will contact you by email or telephone to ask whether you wish to proceed with the order at the correct price. If you are not happy to proceed, or we are unable to obtain your instructions, we will cancel the order. Unless we have already confirmed dispatch of your order, we will not be obliged to supply Services at the incorrect price. B) return the parcel to us, we suggest, either by courier or by recorded delivery mail or other form of certified mail. We advise that you take out enough postal insurance to cover the value of the contents. 7.1 We have taken reasonable steps to display as accurately as possible the colours and other detailing of our Services in the images that appear on J&N Skips. However, as the actual colours and detailing you see onscreen will depend on your monitor, we cannot guarantee that your monitor’s display of any colour or other detailing will exactly reflect the colour or detailing of the Service(s) upon delivery. 7.2 From time to time, our stores may run special or local promotions which may not be available online, or we may offer special promotions online that are not available in our stores. Please note that, unless expressly stated on J&N Skips, purchases made online do not qualify for points under any loyalty card scheme or discounts under any discount card scheme which we may operate in our stores. 7.3 Any information on J&N Skips regarding sizing of Services is included as a guide only. If you are in any doubt as to the size of any Service you require, we recommend that you contact us prior to placing an order. 8.1 If you choose to access J&N Skips from outside the United Kingdom, you are responsible for complying with local laws, if and to the extent that they are applicable. We do not represent or warrant that any Service(s) on J&N Skips is appropriate for use or available in locations outside of the United Kingdom, or that it complies with any legal or regulatory requirements of such other locations. 9.1 We understand that you may have concerns about security on the internet. J&N Skips uses a secure server in our online ordering process to protect your personal information. 13.1 Please feel free to contact us using the details set out on J&N Skips. Like most websites, this site uses Google Analytics (GA) to track user interaction. We use this data to identify the number of people using our site, to better understand how they find and use our pages and to see their journey through the website. Although GA records data such as your geographical location, internet browser, device and operating system, none of this information personally identifies you to us. GA also records your computer’s IP address which could be used to personally recognize you but Google do not grant us access to this. Google is a third party data processor and details can be found on Google’s developer guides. You can choose to add a comment to any posts that we have published on our blog, the name and email address you enter with your comment will be saved to this website’s database, with the date-time and computer’s IP address that you submitted the comment. This information is only used to recognize you as a contributor to the comment section of the respective blog post and is not passed on to any of the third party data processors detailed below. Your comment and its associated personal data will remain on this site until we see fit to either 1.) Remove the comment or 2.) Remove the blog post. Should you wish to have the comment and its associated personal data deleted, please email us here using the email address that you commented with? You can contact us using the contact form on our Contact us page or an email link on the same page, none of the data that you supply is safe with us. Instead the data will be collated into an email and sent to us over the Simple Mail Transfer Protocol (SMTP) Protocol. Our SMTP servers are protected by TLS (sometimes known as SSL) meaning that the email content is encrypted using SHA-2, 256-bit cryptography before being sent across the internet. The email content is then decrypted by our local computers and devices. We only store your personal details like name, address, email, and phone-number directly in website database. Here by we are giving the surety that your data is safe with us and never going to leak to anybody.